In the past year Dal counselling has directly helped 2,560 students: 101 from NSCAD; 335 from Kings; and 2124 from Dal. (K'JIPUKTUK) HALIFAX-- In any given year, one in five Canadians will experience a mental health problem or illness. In 2012, Statistics Canada produced the results of the Canadian Community Health Survey in regard to mental health. The survey determined that in the past 12 months, approximately 4.9 million individuals, ages 15 and older, had perceived themselves as having a need for mental health care. Of those people, 67 per cent of them had their needs met, while 12 per cent reported their needs were unmet. The remaining 21 per cent said they had their needs partially met, meaning they received some mental health care, but perceived they needed more. Mental health is a growing epidemic within North America, and it shows no sign of subsiding. The Centre for Addiction and Mental Health , which is located in Toronto, says that young people, ages 15 to 24, are more likely to experience mental illness and or/substance use disorders than any other age group. It’s no surprise then that university campuses across Canada make a point to subsidize mental health services for students. Student Health at the University of Alberta published their findings from their 2011 College Health Assessment. What they found was troubling. The University had 1,600 students responded. Of those students, 34.4 per cent of them felt so depressed that it was difficult for them to function, 6.8 per cent of them seriously contemplated suicide, while 1.2 per cent, specifically 19 people, attempted suicide. These statistics aren’t home to just the University of Alberta. A 2009 student survey of six Ontario post-secondary institutions found that approximately 15 per cent of students have been treated by a professional for one or more mental health problems. Approximately 53 per cent of students indicated they felt overwhelmed by anxiety, and 36 per cent felt so depressed, they said it was difficult to function. Universities across the country are making it a priority to not only talk about mental health, but create resources for students. Mental health services are a vital part of mental health support, and without them many students would go untreated and without the help that they need. The University of Dalhousie offers free personal counselling to registered students of Dalhousie, the University of King’s College and NSCAD University. Though the University of Kings does not pay a fee, NSCAD pays $55,000 a year so their students have access to Dal’s services says Dr. Bonnie Neuman, vice president of student services at Dal. Dr. Victor Day, the director of counselling services says that in the past year Dal counselling has directly helped 2,560 students: 101 from NSCAD; 335 from Kings; and 2124 from Dal. Though Dal has done much to accommodate its’ students and their need for mental health resources, Mensink agrees that the waiting list is still longer than they would like it to be. “The solution to that would be to hire extra staff, and the person who makes that decision is the vice president of student services,” says Mensink. With Dal’s extensive international student population, this resource could greatly benefit those who have moved to Canada for their studies, but one more counsellor would only slightly decrease wait times. As of right now Dal counselling has 16 part time staff and ten full time staff,says Neuman. These counsellors work with both international and national students. While mental illness constitutes for more than 15 per cent of disease in Canada, these illnesses receive less than 6 per cent of the health care dollars, states the website for the Center for Addiction and Mental Health. It goes on to say that almost one third of Canadians who seek mental health care report that their needs have gone unmet, or only partially met. The rate is even higher for children and youth, and with only 60 per cent of family physicians ranking access to psychiatrists in Ontario as fair to poor, it can leave citizens with the burden of an untreated mental illness. 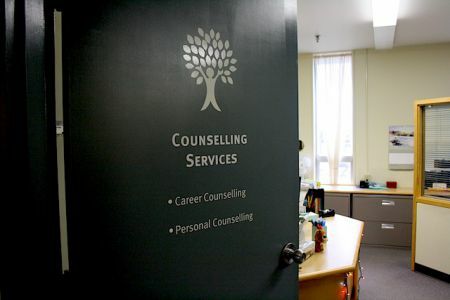 In order to minimize wait times as best they can, Dal counselling has created a system to make sure students who are undergoing a crisis will have access to same-day mental health resources. Three wait lists have been created says Mensink. “Students who want to come to the centre can come and pretty much make an appointment the same day. [...] We call those brief initial consultations and every counsellor holds a certain number of those on a daily basis,” he says. This initial screening gives counsellors a chance to interact with the students and see what state their mental health is at. “If a student has an emergency in regard to their mental health they are seen on the same day. There is no wait list for emergencies,” says Mensink. This is the first and most critical “waitlist” at the counselling centre. From there the second waitlist is an “ASAP” waitlist, says Mensink. “For the most part we’re able to handle, I would say 99% of those students within a week,” he says. Lastly, there is the third waitlist, which is the regular waitlist. This waitlist is for students who may be feeling a bit anxious or need someone to talk to, but who aren’t undergoing a severe crisis or need immediate care. Though Mensink and Dal counselling are doing all that they can with the resources that they have, students share mixed opinions and feelings on Dal’s services. Lubberts says she has been to Dal counselling on two separate occasions. Though Lubberts got both of her consultation appointments on the same day, it was about 4 weeks until she was able to get regular sessions scheduled with a counsellor after her first visit. However, other students haven’t felt the same support from Dal counselling as much as others. The therapist that Dean was directed to relied on cognitive behavioural therapy, she says. Cognitive behaviour therapy is the most common type of therapy, which works to change one’s thought process and as a result change their behaviour. However, this was not what Dean was looking for. She was then directed to a physician at Dal’s Health services in order to receive a medication that could help her with borderline personality disorder (BPD). With universities only offering what they can, students have begun to create their own programs and opportunities to not just help themselves but others. Brendan Peters is a PHD student at the University of Toronto, and is also a member of the Graduate Student Health Committee. The committee was created by two graduate students from U of T, and has now reached 20 members. The committee’s general objectives are to: create a dialogue between students and administration; provide consultation and program services; identify education and information needs; to organize campus wide events around mental health; and to serve as a resource for grad students seeking mental health care on campus or in the community. The committee has organized campus-wide events, such as mental health mondays, which involves activities like yoga, dog therapy, meditation and mindfulness. A conversation and stream of communication has been taking place between U of T administration and the committee. Peter’s and other members of the group hope that this only continues to grow. What’s clear, is that both administration and students can agree that more needs to be done to minimize wait times, but for now any changes to the system seem to be a second thought. “[...]At this point we have no other commitment from the university,” says Neuman. If you or someone you know is suffering with a mental illness or needs someone to talk to check out the following links below, and remember you’re not alone. Kids Help Phone is a free, anonymous and confidential phone and online professional counselling service for youth. Big or small concerns. 24/7. 365 days a year. Support for people with mental illnesses including Communities Addressing Suicide Together Program. 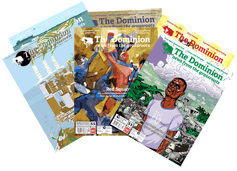 Accessible to students who are registered with Dal, Kings or NSCAD University.